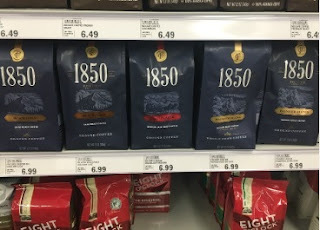 The Target Saver: Meijer:Free Folgers 1850 Coffee Bags or K-Cups! 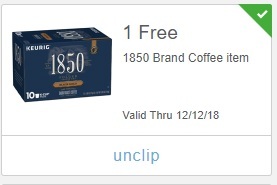 Meijer:Free Folgers 1850 Coffee Bags or K-Cups! I know this is not a Target deal, but it's to hard to pass up! Hurry and check your Meijer MPerks account for a high-value freebie! Some MPerks users have a digital coupon for a free Folgers 1850 Coffee product. This coupon is valid on the full-size package of 1850 Ground Coffee or K-Cups. Clip your coupon now to get your free coffee.